Do not confuse ArtCall® with artcall.org, a different company with a different product that requires you the exhibitor to do your own setup. Our ArtCall is a 100% customized service where we do all the computer work for you so you can do what you do best - manage your art organization. ArtCall® is a customized, web-based service that gives artists the ability to enter juried shows completely on-line. Artist contact information, artwork descriptions and digital photos are uploaded directly by the artist into the exhibit database by filling out simple web-based forms. The system can also accommodate registration payment via PayPal or third party shopping cart. ArtCall also provides an on-line system for jurying the entered artwork. Jurors, from any location can view the artwork photos, read the artist statements, make private comments, and then vote. The system provides a private set of ballots for each juror for each piece. Administrators can see the final tally and the number of votes cast for each work. ArtCall is different from other call for entries systems. Our team sets up your call and you receive your own private website, designed to look like your own art organization branding. We do all the work so you can do what you do best - manage your art organization. Our pricing includes a high degree of customization. The web prospectus and forms will have the look and feel of your own website branding and will have the fields you need. All Rights Reserved. 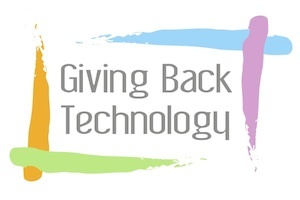 © 2009-2017 Giving Back Technology, LLC. See exhibit opportunities at ArtCall for Entries.